I'm so excited to be participating in a giveaway to help you get a free book and lots of other great goodies from David Farland, the author of Nightingale and over 50 other books! 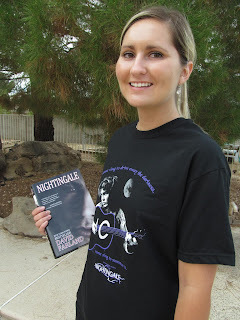 David is giving away an AUTOGRAPHED hardcover of Nightingale, the enhanced ebook, and 5 lucky winners will each receive an awesome T-shirt featuring Bron, the main character from Nightingale. A total of 7 prizes will be awarded. Enter by December 17th at midnight! Just enter using the rafflecopter below. Enjoy! Win a T-shirt like this one! Grand Prize Winner of the Hollywood Book Festival, placed first in all genres, all categories. 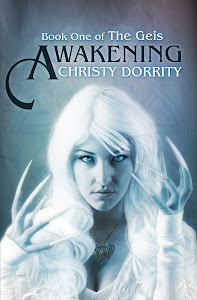 Winner of the 2012 International Book Award for Best Young Adult Novel of the Year! Finalist in the Global Ebook Awards. Some people sing at night to drive back the darkness. 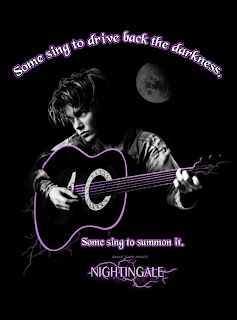 Others sing to summon it. . . .
Bron Jones was abandoned at birth. 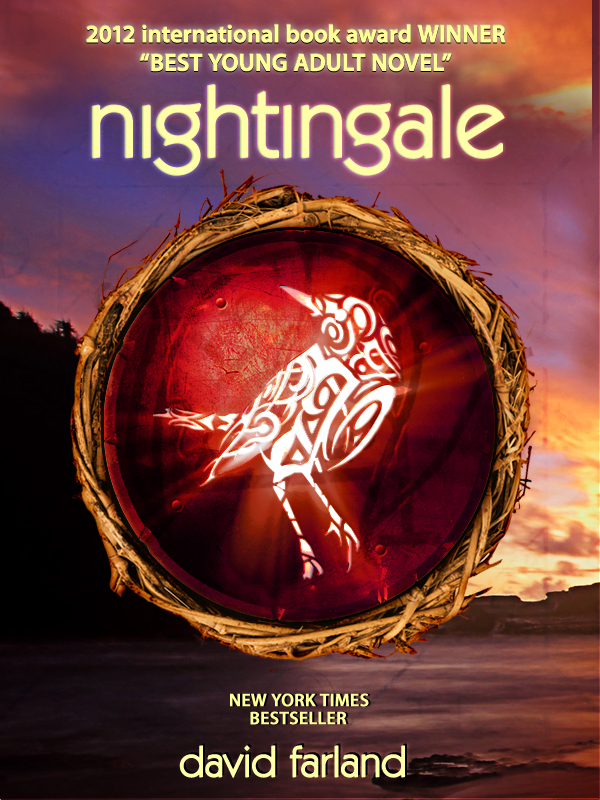 Thrown into foster care, he was rejected by one family after another, until he met Olivia, a gifted and devoted high-school teacher who recognized him for what he really was--what her people call a "nightingale." But Bron isn't ready to learn the truth. There are secrets that have been hidden from mankind for hundreds of thousands of years, secrets that should remain hidden. Some things are too dangerous to know. Bron's secret may be the most dangerous of all. In his remarkable young adult fantasy debut, David Farland shows why critics have called his work "compelling," "engrossing," "powerful," "profound," and "ultimately life-changing." Purchase Nightingale in time for Christmas!